Congratulations. 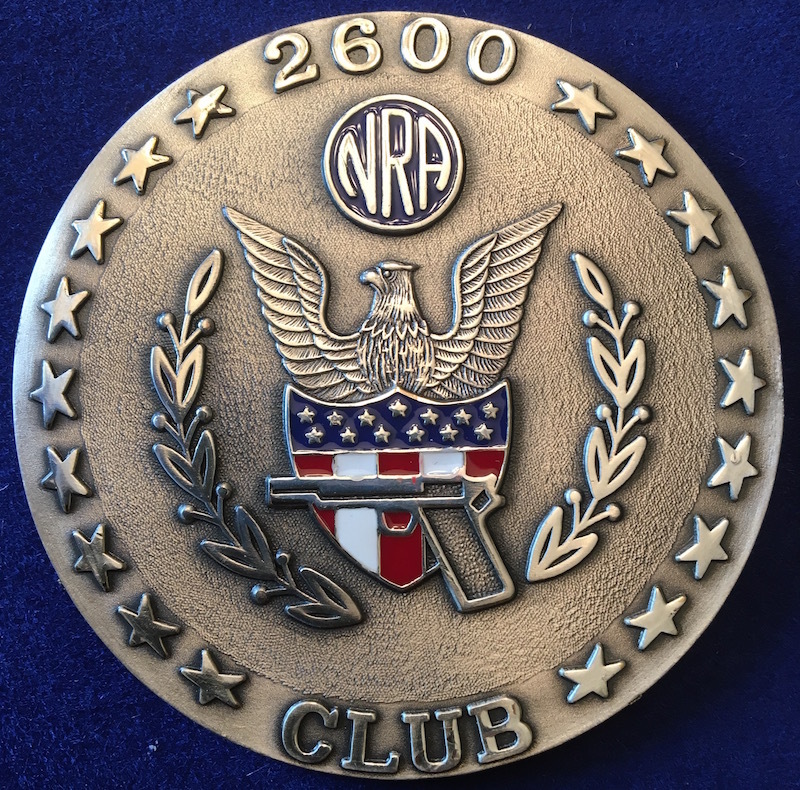 Its very nice they go through the trouble to recognize great shooters, hitting 2600 probably puts you in the top 100-200 active pistol shooters in the entire country. I know if I ever hit 2600 I'm framing that puppy with the medallion. Congratulations and welcome to the Club. The membership chairman should be contacting you shortly with details of the secret handshake. I collect the dues for the 2600 Club. You can pay me the $2,600 in one lump sum or we can work out a payment plan! Congratulations! It is quite an accomplishment. BE Mike wrote: I collect the dues for the 2600 Club. You can pay me the $2,600 in one lump sum or we can work out a payment plan! Congratulations! It is quite an accomplishment. By the time you're in the Club, you've already paid your dues. zanemoseley wrote: Congratulations. 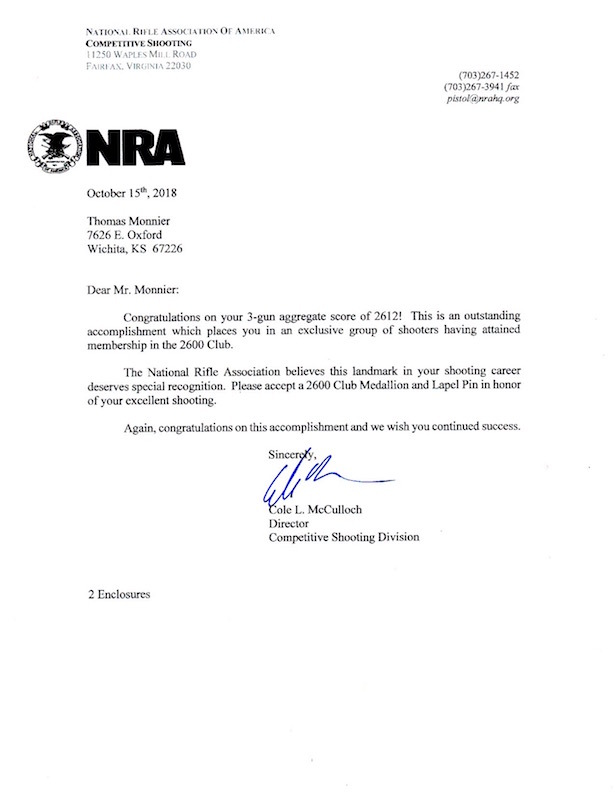 Its very nice they go through the trouble to recognize great shooters, hitting 2600 probably puts you in the top 100-200 active pistol shooters in the entire country. I know if I ever hit 2600 I'm framing that puppy with the medallion. Thanks - I'm thinking of maybe doing that very thing. PhotoEscape wrote: Outstanding achievement!! Congratulations, Tom! Ed Hall wrote: Good Shooting! Congrats!! john bickar wrote: Congratulations and welcome to the Club. The membership chairman should be contacting you shortly with details of the secret handshake. Thanks - I really apprecate the help you and some other HMs like John E and several others lend to me & the community with your posts in the Fundamentals section. I watch that all the time for your guys insight and study it and work on applying it. There are no HMs or coaches where I live so your guys insight has been invaluable to me. dronning wrote: Congrats! Well done! Thank you - congrats to you - you are having a tremendous year! Tom, That's awesome. 2600 Club, good job.